HCL Technologies is a next-generation global technology company that helps enterprises reimagine their businesses for the digital age. Our technology products, services and engineering are built on four decades of innovation, with a world-renowned management philosophy, a strong culture of invention and risk-taking, and a relentless focus on customer relationships. With a worldwide network of R&D, innovation labs and delivery centers, and 124,000+ ‘Ideapreneurs’ working in 41 countries, HCL serves leading enterprises across key industries, including 250 of the Fortune 500 and 650 of the Global 2000. 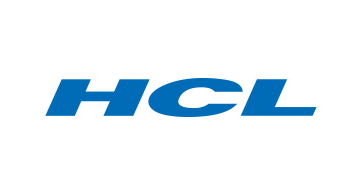 HCL generated consolidated revenues of USD 8.0 billion for 12 months ended 30th Jun 2018.